Lupus is an autoimmune disease affecting multiple organs and systems of the body. The causes and symptoms of lupus are far-ranging. But first, exactly what is lupus, and how is it best treated? What is lupus? It's a group of autoimmune diseases in which the immune system attacks healthy cells in the body. Diagnosis typically involves a blood test. You’ve likely heard of the condition, but what is lupus? Simply put, it’s a group of autoimmune diseases in which the immune system attacks healthy cells in the body. In the United States, lupus affects one in 2,000 people. Lupus can affect multiple systems of the body, including the joints, kidneys, skin, heart, lungs, brain, and nervous systems. It often has a relapsing-remitting pattern, meaning symptoms worsen at times (relapsing) and improve or disappear at other times (remitting). The term lupus comes the Latin for wolf, and relates to characteristic lupus rash or “butterfly rash” on the face, which early physicians thought resembles the bite of a wolf. Systemic lupus erythematosus (SLE) is the most common form. Inflammation ranges from mild or severe and affects various organs and systems in the body (thus the term systemic). Cutaneous lupus is limited to the skin and does not have a systemic effect, at least initially. Upwards of 5 percent of patients will go on to develop SLE. There are three types of skin lupus. The most common form is discoid lupus, a condition that presents with rounded, raised, red, and scaly lesions (which do not itch). The other two types are subacute cutaneous lupus erythematosus (SCLE) and tumid lupus. Diagnosis is based on the pattern of skin lesions and a skin biopsy. Drug-induced lupus, a result of a lupus-like reaction to medications or drugs. Tyhis condition is temporary, subsiding within months of the time a patient stop medication. Neonatal lupus, which affects newborn babies and is thankfully rare. Childhood lupus, which is similar to adult SLE and needs to be treated aggressively as it can cause kidney failure. Researchers do not fully understand the mechanism whereby lupus develops, but they do know that it’s multifactorial (meaning that it has multiple causes). So what are the risk factors for lupus? Age and gender. Lupus can affect anyone, and it can strike at any age, but 90 percent of sufferers are women. The prevalence in women aged 14 to 45 is one in 250. This points to a strong role in female hormones. Race. African American, Hispanic, Asian, and Native American women are at higher risk. Family history. Some 10 percent of sufferers have a first-degree relative with SLE, pointing to a genetic risk factor. Environment. 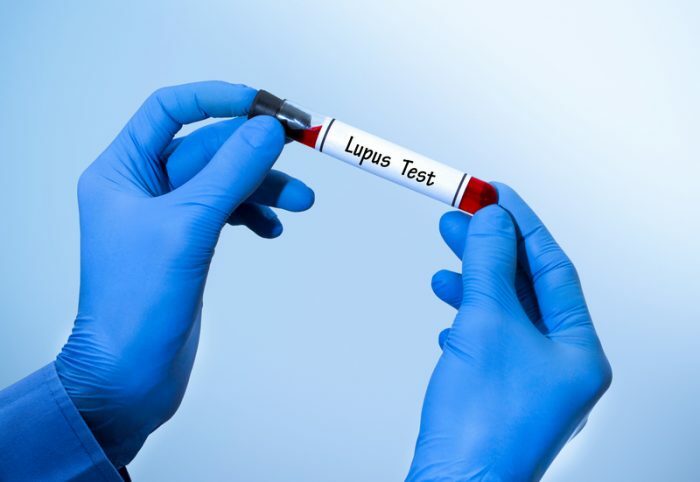 Viral infections, stress, and environmental chemicals have been implicated in lupus risk. Sunlight also is known to trigger symptoms in many sufferers. Lupus can affect multiple systems and organs of the body, including the joints, skin, heart and blood vessels, kidneys, lungs, and brain. Less common symptoms include anemia (low red blood count), headache, dizziness, depression, confusion, and even seizures. Symptoms may go through stages of relapse and remission. During a relapse, or “flare,” old symptoms may become more severe and new symptoms may occur with them. Flares can range from mild to severe. If you’re suffering from some of the symptoms above, see your doctor. There is no definitive test for lupus. 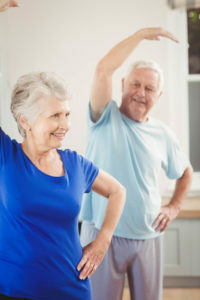 A diagnosis can take time; the symptoms are somewhat vague, and there are many other conditions that need to be ruled out. Your team of specialists may include your primary care doctor, a dermatologist, cardiologist, rheumatologist, and urologist. A clinical evaluation will be undertaken by your doctor, including a full medical and family history and physical examination. He then may refer you on to a specialist or order investigations. Blood tests including antinuclear antibody (ANA) and autoantibody tests may be positive. Complete blood count, kidney and liver function, ESR, and CRP also may be requested. Urinalysis with microscopy may reveal kidney involvement. Imaging of joints, chest, heart, and brain may be needed if symptoms arise in those systems. Other procedures may include joint aspiration, skin biopsy, lumbar puncture, and renal biopsy. Once it’s diagnosed, how is lupus treated? Managing lupus requires a team approach, as multiple clinicians may be involved in care. Remember you should always be at the center of the team. There is no known cure for lupus, but medication and lifestyle changes can help limit disease progression and improve quality of life. Disease modifying drugs, or DMARDs (e.g., methotrexate, belimumab, rituximab, IV immune globulin). The aim of treatment is to prevent flare-ups, treat symptoms of a flare-up, and minimize complications. Diet. The Lupus Foundation offers excellent dietary advice, explaining that there is no “special lupus diet.” Rather, the Foundation recommends eating a nutritious diet “that contains plenty of fresh fruits and vegetables, whole grains, and moderate amounts of meats, poultry, and fish.” One food you should avoid is alfalfa (in the form of alfalfa sprouts, seeds, and tablets), as it has been linked to flare-ups. Keep a look out for foods that cause a flare-up and experiment by excluding them for a while and then reintroducing, all the while monitoring your symptoms. Alcohol in moderation usually doesn’t cause flares; however, it may interact with some medications, such as NSAIDS, methotrexate and steroids. Stress management is important for reducing the risk of flares, as stress can trigger an attack. Develop a “tool kit” that works for you. Tools may include meditation, walking in nature, music, or creative endeavors. Support. Get support from family and friends, and consider joining a national or local support group. alcohol, anemia, anti inflammatory, anti inflammatory drugs, antinuclear antibody, arthritis, blood pressure, brain, chest pain, corticosteroids, depression, diet, dizziness, dmards, exercise, exercise program, feeling very tired, food, foods that cause inflammation, hair loss, headache dizziness, health, high blood pressure, immune system, inflammation, kidney failure, lupus, meditation, muscle, muscle pain, music, nsaids, pain, reduce inflammation, rheumatology, skin, skin biopsy, stress, stress management, swollen feet, tired, ulcers, vegetables, whole grains. Having a flare looking for control suggestions took Amitriptyline and slept well , will try Panay ginseng for long term as suggested . Hopeful information thank you. Iris l.